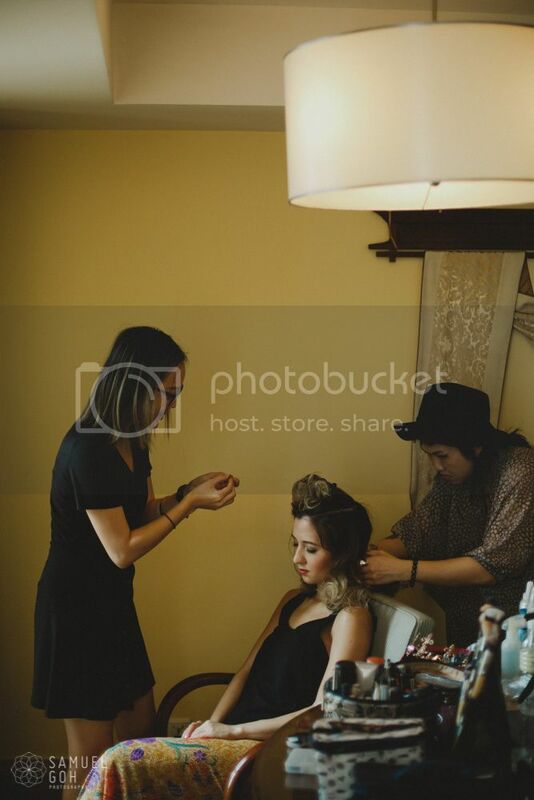 Behind every beautiful bride, is a team of brilliant MUA and Hair Stylist! 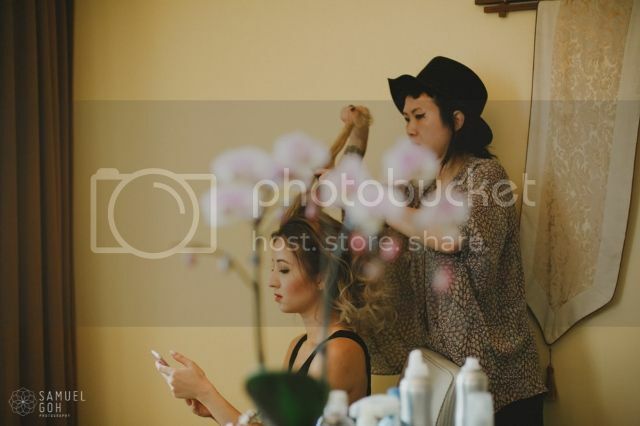 Being in the beauty circle, I have been very blessed to work with many different talented individuals; thus it came as no surprise for me to entrust my big day to two of my favorite ladies to doll me up: Marie Soh from 27a and Celia from Bloc+! 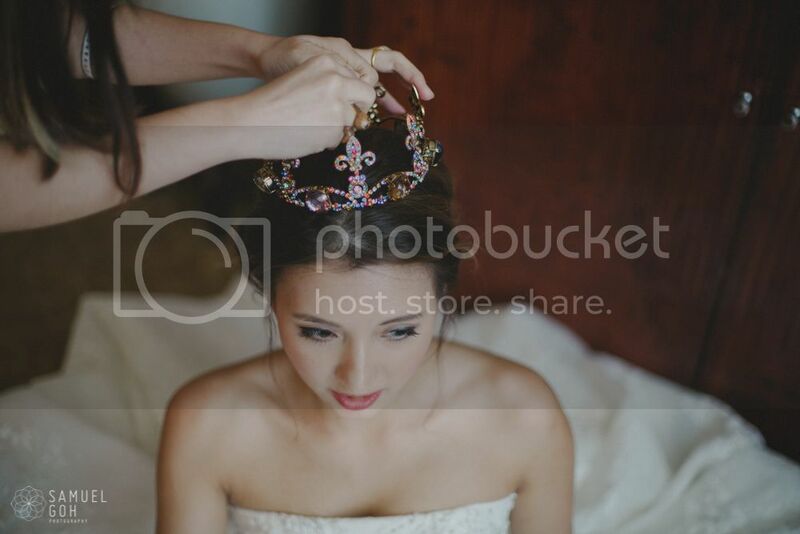 Marie Soh should not be new to you kitties as she was the same MUA for my Pre-Wedding shoot with Samuel Goh. This time round, I tasked her with creating a look for me that will flatter my 3 outfits with minimal touchup needed. She is such a bubbly bundle of joy to be around, kinda like a mini cheerleader prepping me up and making me feel like a princess. 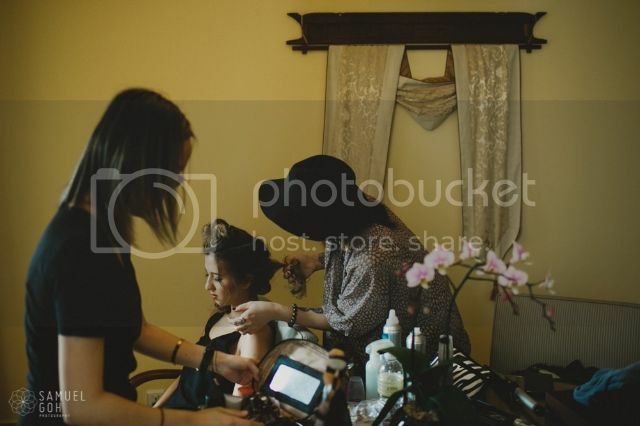 Actually, I know that most bride will just stick to just one MUA who can do both hair and makeup (which Marie could do of course) but I had always wanted Celia to fix my hair on my wedding since the day I met her. Anyway by doing so, my entire look was done in less than an hour.. just in time for everyone to start streaming in! I was very touched by the professionalism of all my vendors who were all punctual by the way, even my bridesmaids too! My hair has been under the good hands of Celia for the longest time and I couldn’t be more thankful to her for always taking such pride in her work whilst respecting her customer’s wishes. You know how most hairstylist communicate one thing with you only to show an entirely different results after it’s all done? Well, it never was the case with Celia – not even when she permed my fatty’s hair! From the bottom of my heart, thank you Celia for always taking such good care of me all these years. Despite the times I’ve been so fickle minded over hair decisions, you still patiently entertained my needs and did what’s best for my hair – in terms of striking a professional balance for both my OL and blogging world, and never damaging it! Never had I left Bloc+ without compliments… If you’re reading this, you MUST pop down Bloc+ at least once ok?! Now let me show you the final look that Marie (27a) and Celia (Bloc+) had curated to complement my 3 outfits of the day! 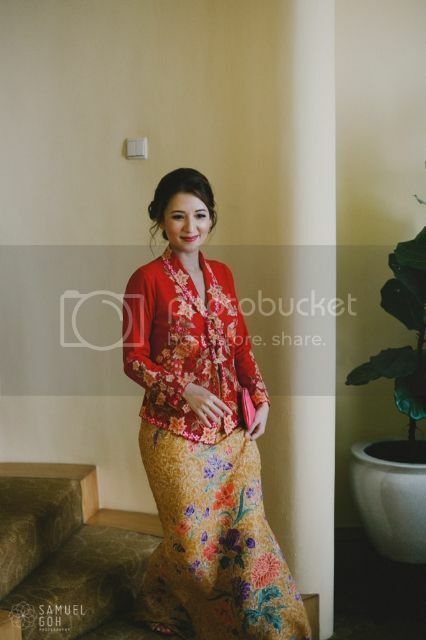 First being the Peranakan outfit for our tea ceremony to the husband’s side (my side was done in Malaysia). Preparing for First March-In in my Zwedding Gown. Thankful to Vinna (who’s also a popular MUA among taitais btw!) for helping me with the crown! P.S Spy my oppa’s Korean hairdo by Celia! Previous Post Coach The Fragrance // Ding Dong!